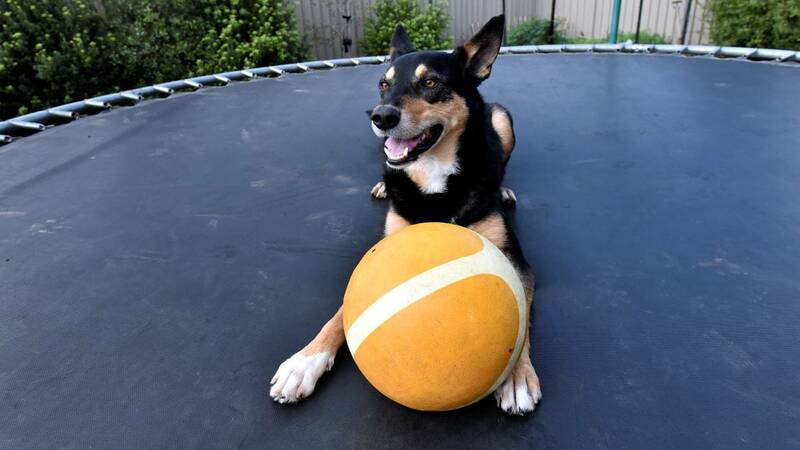 Tim McKenzie from Tasmania writes: I recently adopted a pair of 3 year old Kelpies from my local shelter, and we have been having a great time together. We go on adventures together and they get to go out daily. However, I do feel they get bored, especially when I am not home. They have lots of toys and each other to play with, but is there more I can do to keep them busy? Dogs are our loveable, goofy companions that put the joy into our lives even on the darkest days. They are eternal optimists; forever hopeful of an amazing day, But our canine companions weren’t always just cute family pets, they were bred and used as working dogs too. A large majority of dogs were bred for specific jobs, such as pulling sleds, herding sheep, and protecting livestock to name a few. Now those breeds have become domestic, those instincts are difficult to ignore, hence you may find your dog acting out some weird behaviours like snapping at your heels to play or pulling you down the street by their leash. Unfortunately, these instincts can develop unwanted behaviours too, such as aggression, chewing up your favourite items, digging etc. Generally they are bored, so why not give them a job to do? Looking at your dog’s strengths, and doing some research on your dog’s breeding will help you to pick the right jobs for your dog. Dogs of course, will give themselves a job. Your dog may feel they protect the house and family, so that will be the dog that barks at the slightest sound to alert you something could be wrong. Or perhaps will growl at someone who is at the front door, to let them know they mean business if that person has the wrong intention. And there is also the ‘Meet and Greet’ dog. This is the dog that will love running to the front door every time someone visits. Sometimes your dog will have a different job that may not be as noisy or active. They can be stabilisers of energy in your home, the healers that just provide so much love and caring when we are sad. There are many jobs your dog can have, and once you unlock what your dog’s strengths are; you will have a happier and healthier dog. Perhaps you have a dog that loves to retrieve things. You could teach your dog to pick up objects you have dropped and bring them to you, or bring objects to you by name that you need at particular times. 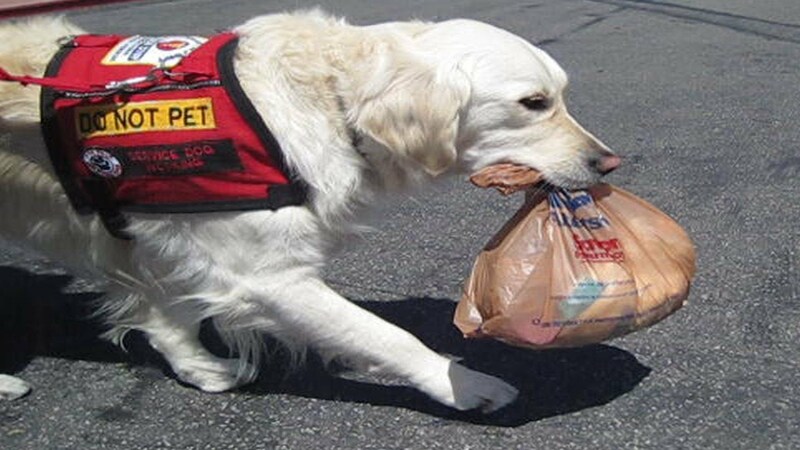 It is no surprise that Golden Retrievers and Labradors are the preferred breeds for service dog roles because they are naturally inclined to retrieve objects, extremely obedient and listen carefully to instructions to complete their tasks. 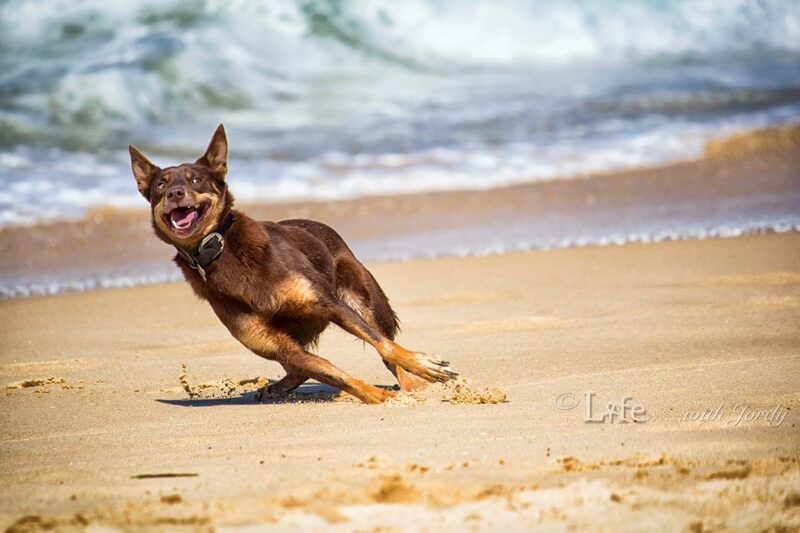 Does your dog have great scenting abilities? Teach them to find objects using their scent or locating people that live in your house using the scent from their belongings. This is great fun for you and your dog. You could teach them to find the members in your home and alert them to the dinner table! Another great way to work your dog’s super smelling skills is to fill a small kids pool with dirt and hide objects in their for them to find. They have to find all the objects, and you can change them around to challenge your dog. This also works for dogs whom are natural diggers; training them to dig only in their pool of dirt allows them to get that excess energy out and you can keep an almost clean garden. Ultimately, dogs love to learn or be challenged. After all, their instincts come from working as a pack to survive in the wilderness, so they are more than capable of handling a human environment. Your dog finds it too easy? Come up with more complicated tasks; don’t underestimate their intelligence. You could teach them to react or bark only to certain sounds, like a guard dog. You would know someone was coming to the door or approaching the house long before it occurs. A great challenge is to teach them how to bring in the shopping into the home; nothing too heavy or too tasty otherwise who knows where your shopping may end up! Make it fun for them, and ALWAYS reward them. After all, it is still training with a challenge!